We are a couple Michele and Rodney who have no children but have a fur baby - a 9 year old terrier cross Cassie. 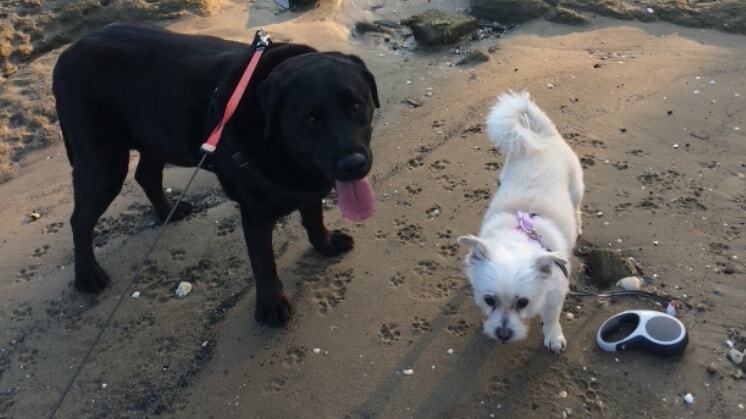 Our beautiful black Labrador Jedda recently died and we are currently looking for a new friend for Cassie. Cassie is a rescue dog who has special needs and Jedda had been with us since a puppy. Cassie is loved and spoilt and shares her time between inside and outside. All pets who stay with us are welcome inside and will sleep inside unless requested otherwise. Rodney works shift work and I work part-time Monday-Wed. We would love to care for your pets in our home preferably from Thursday to Sunday as this is when I am home all day to offer your pets the best care. We are happy to take all animals except we have no experience with exotics. We offer all services including walking, feeding, medicating etc. Any other special requests will be considered. Wherever possible I prefer to take only one pet at a time unless they are multiple pets from one family. This is so I can provide the best care possible and ensure all the pets are safe and happy, especially as I’m often home alone. We do request that your pets be socialised, able to walk on a lead and toilet trained (excluding caged animals of course). Please contact me for a meet and greet and we look forward to meeting you and your pets soon. We had a very good experience with Michelle and Rodney for looking after our Ginger for few days in March 2019. Highly recommended this beautiful family! Five star all around! Extremely caring and dedicated. Great attention to detail. Michelle is wonderful!